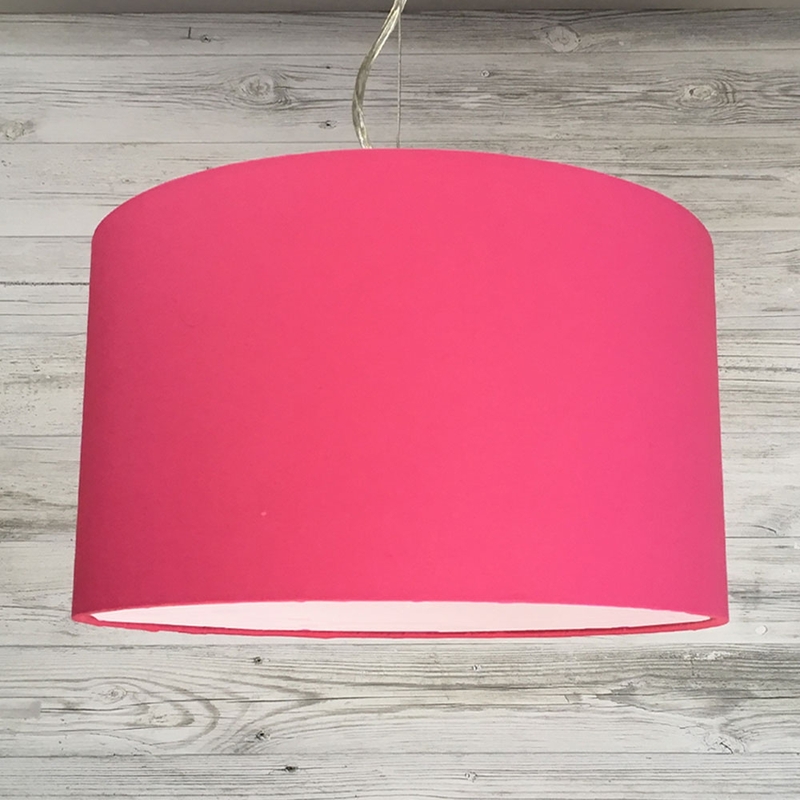 Inject a splash of colour with this gorgeous hot pink drum ceiling lampshade. 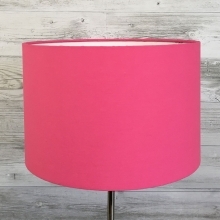 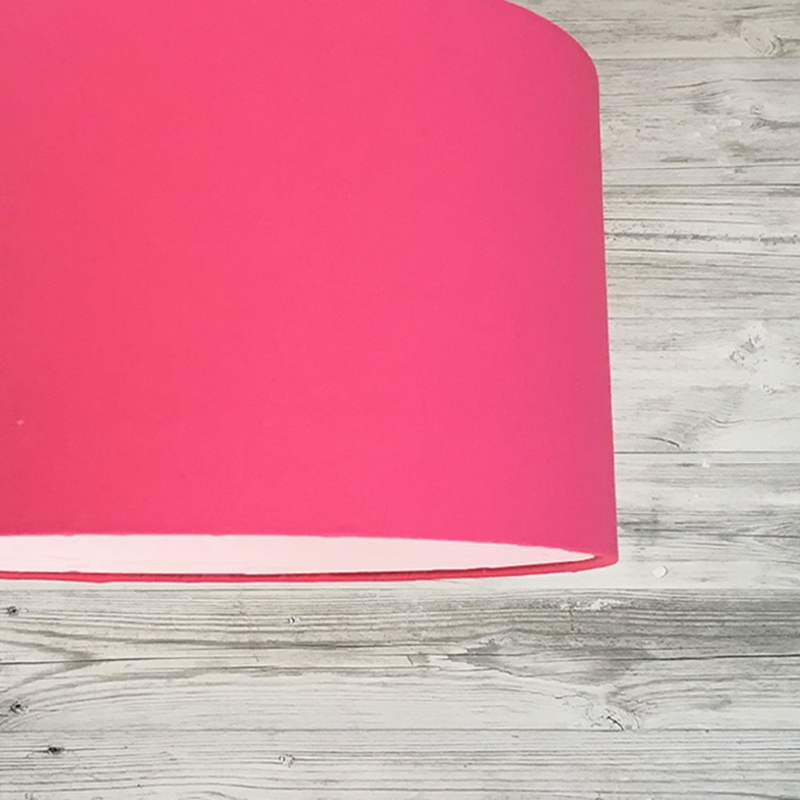 This modern lampshade is handmade in hot pink cotton creating a vibrant feel, lined in white PVC and is finished off neatly with matching trim complimenting the shade. 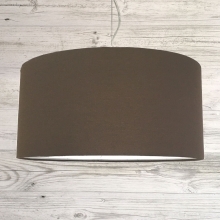 This pendant lamp shade can also be used on table and floor lamps.